If you’re entering the market for a new SUV, then you understand firsthand how challenging it can be to pick out the perfect one. Once you’ve narrowed it down to the specific brand you’re interested in, it’s still difficult to decide on the exact model. That’s where we come in! Our team here at Western Slope Auto is comparing the 2017 Ford Flex to the 2017 Ford Explorer to give drivers a detailed understanding of what each one has to offer. 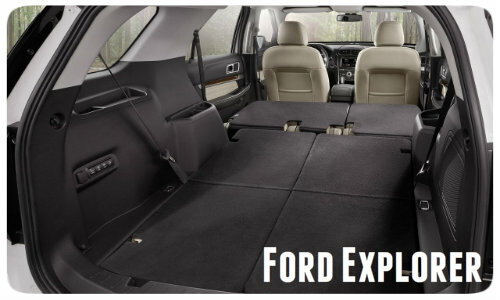 How does the Ford Flex compare to the Ford Explorer? 2,000 lbs. Maximum Trailering Capacity 2,000 lbs. As we can see from the chart above, the Flex and the Explorer have quite a few similarities. The Explorer is slightly more efficient and pumps out more horsepower than the Flex. 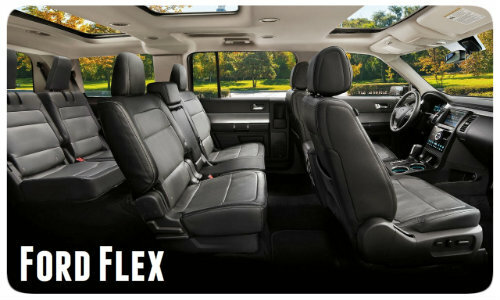 However, the Flex comes out on top when it comes to providing legroom and comfort for the driver and passengers. Overall, the Flex has 155.8 cubic feet of passenger volume, whereas the Explorer has 151.7 cubic feet. This directly reflects on the available cargo space. Drivers will find 20 cubic feet behind the third row of the Flex, 43.3 cubic feet behind the second row and 83.2 cubic feet behind the first row. Those with the Explorer will have 21 cubic feet behind the third row, 43.8 cubic feet behind the second row and 80.7 cubic feet behind the first row. Both vehicles are set standard with the following features: CD player, cruise control, keyless entry, automatic headlights, backup camera and Bluetooth connection. The Flex comes out on top with a standard rear parking aid, leather steering wheel, auto-dimming rearview mirror and security system, which are not available on the Base model of the Explorer. [READ MORE: Differences between the Ford Fiesta & Ford Focus]Those interested in learning more about either the 2017 Ford Flex or the 2017 Ford Explorer are welcome to contact us here at Western Slope Auto for further details. Drivers can get behind the wheel of either one of these SUVs by scheduling test drive online today. What features do the 2019 Ford Explorer Special Edition models offer? This entry was posted on Tuesday, May 30th, 2017 at 3:20 pm	and is filed under Ford Explorer, Ford Flex, Model Comparisons. You can follow any responses to this entry through the RSS 2.0 feed. You can skip to the end and leave a response. Pinging is currently not allowed. Does the Explorer come with an EcoBoost engine? Does the Platinum engine mean it has an EcoBoost? $ for $, which is the Best Buy?